BT Sport’s Rugby Tonight have revealed their World XV for the calendar year as voted by the fans, with no fewer than seven Irish players making the team after an incredible year for the men in green under Joe Schmidt. 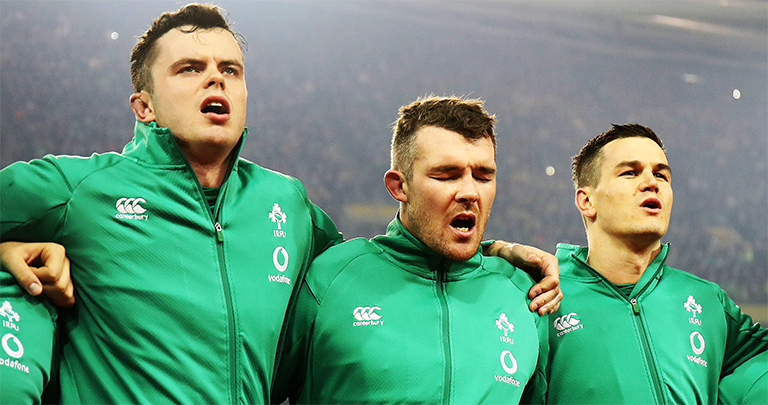 World Player of the Year Johnny Sexton and Connacht centre Bundee Aki make the backline, while Cian Healy, Tadhg Furlong, James Ryan, Peter O’Mahony and CJ Stander are all part of an Irish-dominated pack. In contrast just three players from world champions New Zealand make the team, while South Africa have four players thanks to an incredible resurgence under Rassie Erasmus. The final position goes to a Welshman with Jonathan Davies just edging the fan vote at thirteen ahead of Garry Ringrose. Not even one English player makes the team. Studio pundits Austin Healey and Lawrence Dallaglio however, were asked where they would make chances and both made minor adjustments. Healey reckons Springbok Damian De Allende should be at 12, with Ben Smith moving to 13 and Teddy Thomas taking his place on the right wing. Lawrence Dallaglio has gone with Steven Kitshoff over Cian Healy. Damian De Allende for Bundee Aki. Teddy Thomas on the right wing. Steven Kitshoff for Cian Healy.